Enabling online patient payment can drastically shorten payment times and increase overall collection rates. Take patient payments in the cloud. Works perfectly on mobile devices and computers. 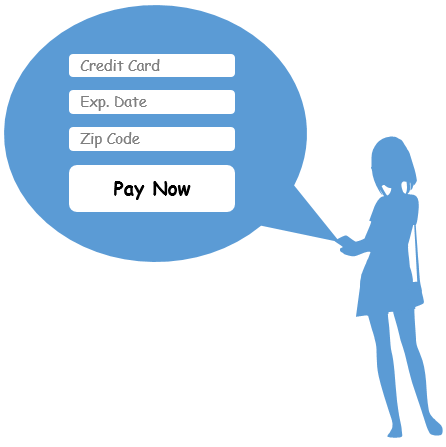 Email payment requests or enable payment via your website. The average paper medical bill is mailed a whopping 3 times before being paid and almost more surprisingly, this number is increasing! Allowing your patients to pay their balances online not only increases patient satisfaction, but it has been shown to significantly shorten time to payment, by as much as 50%. How Much are Payment Collections Costing? 94% of medical bills are still paid by check. Studies show that industries where consumers predominantly use checks to pay represent the highest debt rates in the country – health care, credit cards, taxes, all represent the highest debt load in the country. Industries such as retail, where consumers are mostly paying electronically, represent the lowest level of debt. In just minutes, TouchHealth can enable your practice to take electronic online payments and reduce your cost of collections. With no monthly fee, there is no reason not to try it out.